Just as the holiday displays seem to go up in stores earlier and earlier every year, so is it with arts critics’ annual best-of lists. Here we are in the first week of December and the New York Times has already anointed the Best Theatre of 2018, no matter that as of online publication, there were two Broadway shows yet to open and be reviewed and at least half-a-dozen major Off-Broadway shows yet to come. As a theatre fan, I used to look forward to these lists from a variety of publications. That was largely because I felt some sense of pride as an audience member when I found that I had seen productions deemed the worthiest by cultural arbiters. My time and money seemed even more well-spent. In my days at producing organisations, having a play on a best-of list was a coup. Coming a half-season after most theatrical awards, it was a chance to remind ticket buyers of the quality and value they were receiving. That the lists arrived just as subsidised companies were seeking end-of-tax-year gifts was an added motivator for their inclusion, perhaps an extra nudge to give – or add an extra zero to a cheque. Over time, however, I’ve grown quite jaded about such lists, precisely because they are looked at by so many in the public as the definitive word on the past 12 months of theatre on offer (even if they really only encompass the past 11, as with the Times). I’m hardly alone: I’ve spoken with many critics who are required to draft such rundowns who find them difficult, restrictive, and reductive. Where the lists really fall down is in their geographical limitations, and in the sheer volume of theatrical productions each year, especially given the size of the US. While the Times’ other co-chief critic, Jesse Green, cites one show he saw in Chicago and one in Massachusetts, his list reveals the self-centric nature of critics’ lists. Green lists Antoinette Nwandu’s Pass Over for its run at Lincoln Center Theater, although the play premiered in 2017 – in Chicago at Steppenwolf Theatre. So in what year was it really The Best of Theatre, especially since Spike Lee filmed the Chicago production before it even played in NYC? 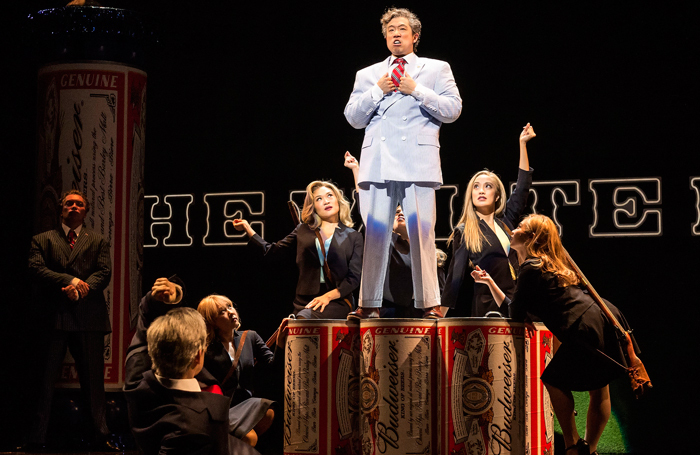 To declare ‘the Best of Theatre 2018’ is simply sophistry. What are the parameters? These lists are only the best of what one critic saw over the year. 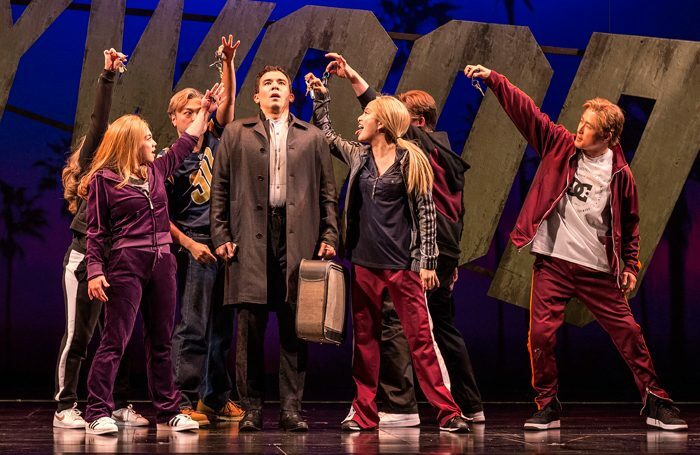 To name one major production that might have warranted consideration from a national publication such as the Times, I’ll drop in David Henry Hwang and Jeanine Tesori’s Soft Power (pictured), which premiered in a major production at Los Angeles’ Center Theatre Group. But since the Times didn’t send a critic, it wasn’t eligible for Brantley or Green’s lists. If Charles McNulty at the Los Angeles Times turns out a year-end recap, we’ll know that Soft Power was at least in the running. It will also prove interesting to see the list from Chris Jones at the Chicago Tribune, since his critiques now do double duty in the New York Daily News. Will he produce regionally specific lists for each municipality? Or will his best of be a blend of both? I understand that I’d be shouting against the wind to suggest that such lists should be abandoned. But if they are to be of use to readers, they would be better off couched in terms that make clear that they are only the best of what each critic managed – or chose – to see, and that the theatrical universe is simply too big for such lists to ever be definitive. I’d also suggest that they’d be vastly more valuable if, thanks to the ability to annotate text online, the critics each provided a list of everything they saw, so we might better understand what they took into consideration, and what they simply didn’t see. To close on a note of appreciation: thanks to every critic who foregoes including a ‘worst of’ list. You’ve already taken your shots, presumably. Why waste time and space putting the boot in one more time? Lynn Nottage’s Fabulation, or the Re-Education of Undine, first seen at Playwrights Horizons in 2004, is being revived by Signature Theatre Company as part of its multi-play series of Nottage’s work. Lileana Blain-Cruz directs the production, opening Monday. Jeremy O Harris is still in graduate school at Yale, but he’ll have two New York premieres this season. First up, opening Monday at New York Theatre Workshop, is Slave Play, described as “an antebellum fever dream”. Robert O’Hara directs the production. Heather Raffo’s Noura, about an Iraqi couple now living in New York who are forced to look back on their past choices, makes its New York debut on Monday at Playwrights Horizons. Joanna Settle directs the drama, which draws partial inspiration from Ibsen’s A Doll’s House. Harper Lee’s To Kill a Mockingbird comes to the Broadway stage for the first time, at the Shubert, in a new adaptation by Aaron Sorkin, directed by Bartlett Sher, opening Thursday. Jeff Daniels plays Atticus Finch, with the three children central to the story played by young adult actors.